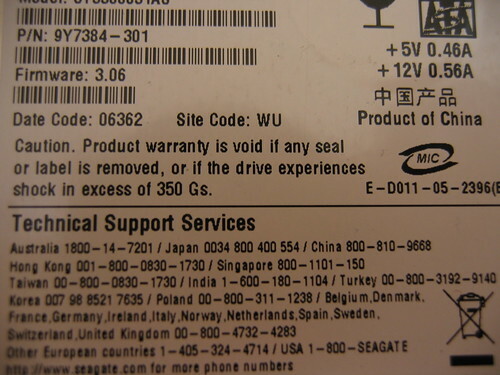 Mike took a photo of a warning label on a hard drive informing the owner that the warranty would be void if the hard drive experienced a shock in excess of 40 Gs. He has some thoughts to share. I found a similar warning on a hard drive I recently purchased, though the amount of allowable shock has increased substantially (almost nine times)!